Detective Vartann (Alex Carter, left), D.B. 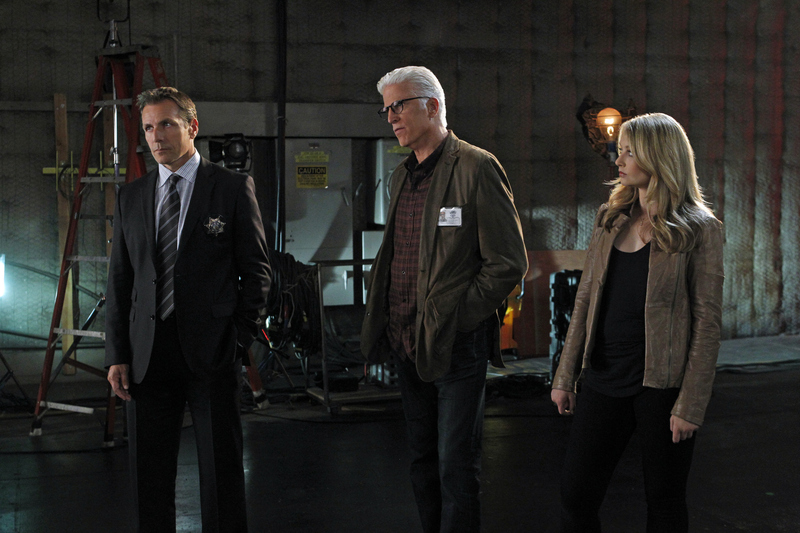 Russell (Ted Danson, middle) and Morgan Brody (Elisabeth Harnois, right) investigate a local newsroom where an anchor was killed. Photo: Sonja Flemming/CBS ©2012 CBS Broadcasting, Inc. All Rights Reserved.